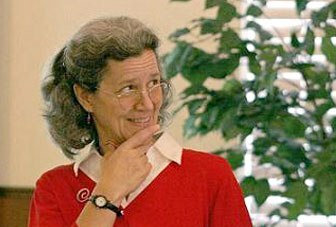 Elaine Potts, LCSW and group facilitator will present Teepa’s take on the different levels of dementia and how a caregiver can most effectively understand and work with their loved one at those specific stages. Handouts and snacks provided. One out of every three deaths among women in the U.S. each year is attributed to cardiovascular diseases including heart disease and stroke, making it the No. 1 killer of women in this country and causing more fatalities than all forms of cancer combined, according to the American Heart Association. However, only one in five American women believes that heart disease is her greatest health threat. 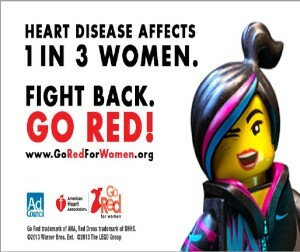 In an effort to raise awareness of heart disease and empower women with the necessary tools to lead heart healthy lives, the American Heart Association’s Go Red For Women and the Ad Council are launching a new public service advertising (PSA) campaign today as an extension of the American Heart Association’s Go Red For Women movement. 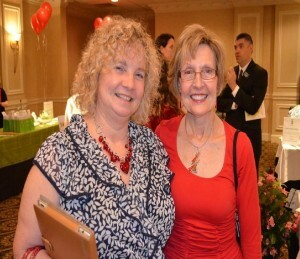 The launch precedes National Wear Red Day® on Feb. 7, which marks the 10th anniversary of Go Red For Women. 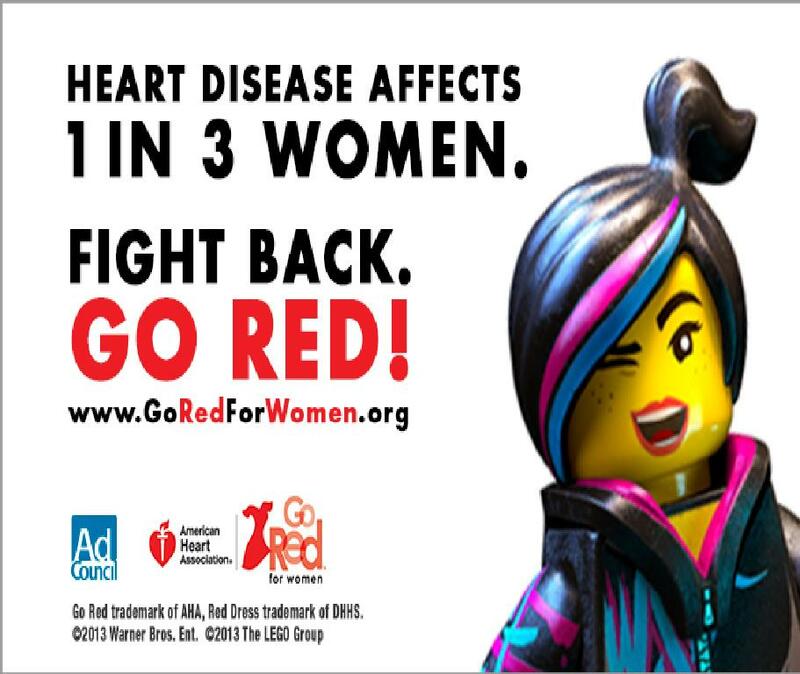 Created pro bono by Warner Bros., the new television ads feature scenes and characters from the upcoming The LEGO Movie, encouraging audiences, “It’s time to Go Red For Women.” Voiced by Emmy-nominated actress Elizabeth Banks, the film character Wyldstyle empowers women, asking them to “Stand stronger, shout louder and demand change.” Audiences are directed to GoRedForWomen.org where they can access more information on the disease, including risk factors and symptoms, as well as preventative tips and tools to lead a healthier lifestyle. In theaters Feb. 7, 2014, The LEGO Movie is the first-ever, full-length theatrical LEGO® adventure. It starsChris Pratt, Will Ferrell, Elizabeth Banks, Will Arnett, Nick Offerman, Alison Brie and Charlie Day, with Liam Neeson and Morgan Freeman. An estimated 43 million women in the U.S. are affected by cardiovascular disease, resulting in over 400,000 deaths each year, according to the American Heart Association. The symptoms of cardiovascular disease, such as shortness of breath, nausea, back pain and sweating, can be easy to miss and sometimes not outwardly apparent, causing it to be known as a “silent killer.” However, by knowing the risk factors and taking simple steps like stop smoking, regular physical activity, eating a heart healthy diet and blood pressure monitoring, women can decrease their chances of heart illness. “Heart disease claims the life of nearly one woman in the United States every minute,” said Peggy Conlon, President and CEO of the Ad Council. “But many women continue to falsely believe the disease is one that just targets men or the elderly and don’t take enough action to reduce their personal risk. Together with longstanding partners the American Heart Association and Warner Brothers, we know we can have an impact on this critical health issue”. 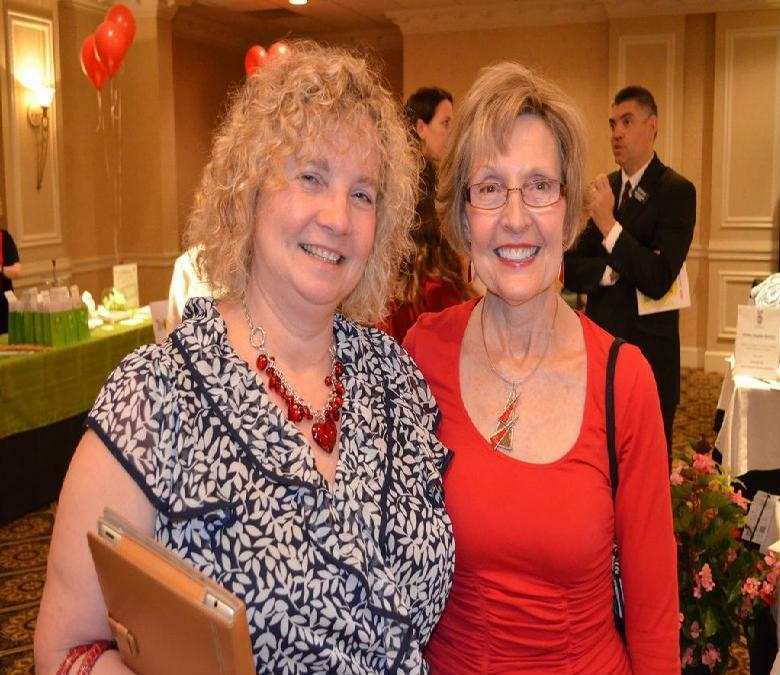 Join PA Home Care of Lancaster as we proudly support the American Heart Association in the fight against heart disease and raise awareness – GO RED!! !